Progressive lawmakers throughout the U.S. are proposing tighter controls or new taxes on big property owners, stepping up the pressure after Democrats enjoyed big gains in the November elections. The powerful real-estate lobby in the past has successfully derailed bills that would tax or pressure their business. In one major victory, it played a key role in weakening rent-control rules in New York City in the 1990s. “Landlords have had their run of the playground, and we’re taking it back,” said New York Assemblywoman Linda Rosenthal, a Democrat. Members of the real-estate community have started pushing back. If all the proposed changes were to pass, “it would be a serious financial blow to the industry,” said John Banks, president of the trade group Real Estate Board of New York. He argued that making it impossible for landlords to raise rents on some units would make it harder for them to pay for repairs and renovations needed to maintain rent-stabilized apartments. California Gov. 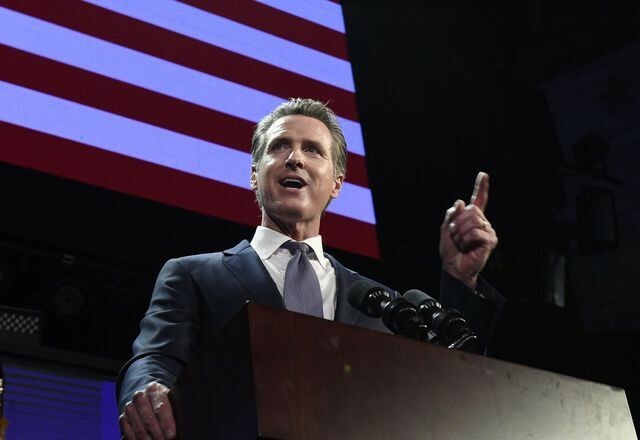 Gavin Newsom has said changes to a decades-old constitutional amendment that has kept taxes low for many commercial property owners are ‘on the table. But Democrats, who now control New York’s Assembly, Senate and governor’s mansion for the first time since 2010, are working on bills designed to protect tenants and curtail the ability of property owners to raise apartment rents. In another sign that the industry’s clout is diminishing, New York City Council Speaker Corey Johnson and state Senate Deputy Majority Leader Michael Gianaris recently vowed to stop accepting campaign contributions from real- estate developers. U.S. Rep. Alexandria Ocasio-Cortez made a point of vowing to “stand up to the luxury developer lobby” during last year’s election campaign. It isn’t all bad news for the real-estate industry. California voters in November rejected a ballot measure that would have made it easier for local government to implement apartment rent controls. Developers could benefit from proposed laws in several states that would ease zoning rules and make it easier to build urban housing. Doug Bibby, president of the trade group National Multifamily Housing Council, said he is happy about the growing interest in housing policy, pointing out that it is central to the presidential campaigns of Sens. Cory Booker, Kamala Harris and Elizabeth Warren. Still, Illinois state Rep. Will Guzzardi last month reintroduced a bill to overturn the state’s ban on rent controls. The state’s new governor, J.B. Pritzker, a Democrat, has said he supports a repeal of the rent-control ban. In California, a campaign to partially repeal a constitutional amendment called Proposition 13, which puts a cap on annual increases in a property’s tax assessment so long as it doesn’t sell, goes to the polls next year, setting up a showdown between tax-reform advocates and property owners. The referendum would keep a cap on taxes in place for homes and apartment buildings, but would repeal it for commercial properties. Last year, the California attorney general’s office estimated that such a change would increase property tax revenues by $6.5 billion to $10.5 billion a year. Those taxes could have a “significant” impact on real-estate values and hit several large property owners hard, according to a report from research firm Green Street Advisors. Commercial property developers are preparing “a pretty strong effort to fight this,” said Joel Marcus, chairman of Pasadena. Calif.-based Alexandria Real Estate Equities, which owns several commercial properties in the state. The post Progressive Lawmakers Take Aim at Landlords With Rent Control, Tax Proposals appeared first on Real Estate News & Insights | realtor.com®.